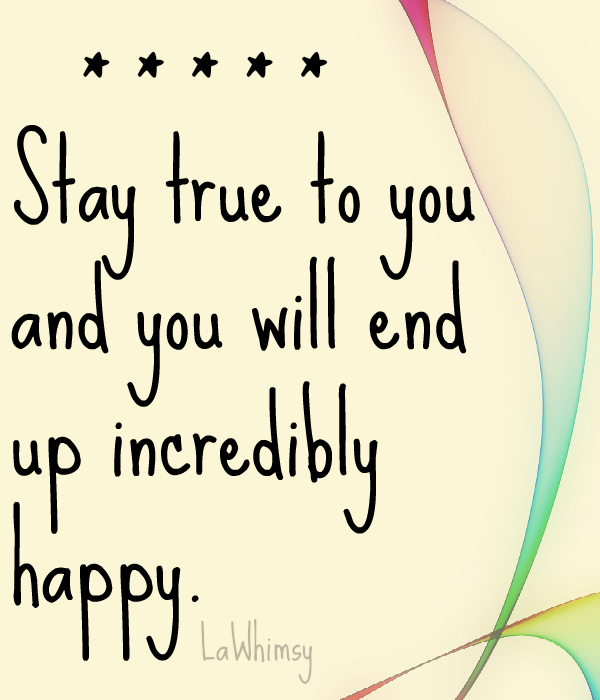 The best way to lead a happy, richly fulfilled life is to stay true to yourself. It’s a truth that tends to get lost in the shuffle at times as we go about doing everything we are “supposed” to do or that is “expected” of us. The things is, who set-up these “supposed tos” and “expectations”? If it wasn’t you, and you are not content or feel off, wrong or just plain not well at all about it, then you are not being true to you. Stop and listen to yourself – you are your best guide, your best source of self-knowledge and you and only you can find and then traverse the path that is “right” for you.